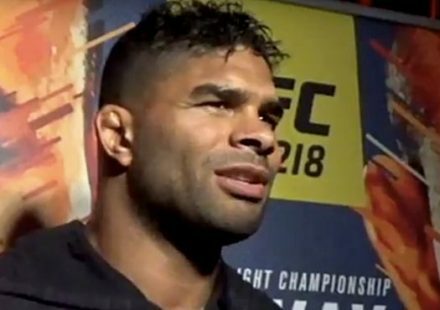 Alistair Overeem has already defeated WWE Superstar Brock Lesnar once in the UFC. He wouldn’t mind fighting him again, but doesn’t see it as realistic after Lesnar found himself in hot water with the Nevada Athletic Commission and the United States Anti-Doping agency following two drug tests that were positive for prohibited substances related to his UFC 200 bout with Mark Hunt. Overeem returns to the Octagon to challenge heavyweight champion Stipe Miocic in the UFC 203 main event on Saturday, Sept. 10, in Cleveland.